Thanks for coming along with me as I plan my somewhat last-minute vacation on the Disney Dream. Our family has never been on a cruise before, so even though I’ve taken travel agent training classes and been on a ship tour of the Disney Fantasy, I’m still experiencing this for myself for the first time. 1. Are you prone to motion sickness? The answer for me is a giant YES. I’ve been known to get car sick while driving to work. I couldn’t sit through The Hobbit. I am 100% sure that I’ll get seasick on this cruise without the aid of medication. (I’ll cover that piece later.) So the best advice for helping to avoid motion sickness that I’ve heard from fellow agents is to book a cabin near the middle and as low as possible. If you picture the ship as a large V-wedge sitting in the ocean, you can picture that the center of gravity of the ship is low. If the ship starts rocking, it’s like a see-saw – the greatest range of motion will be on the higher decks. Get low, and there is much less movement. Makes sense to me, and I’m hoping it helps. 2. Which categories fit within your budget? This is pretty important. I don’t know about you, but of COURSE I would choose a Concierge Royal Suite if I could. But I can’t. Odds are, you can’t either. Or I guess I could if my kid didn’t need braces or food… but in any case, we all make choices. And so obviously, just eliminate from consideration those categories that are out of reach. This will leave you with a more manageable list to peruse. 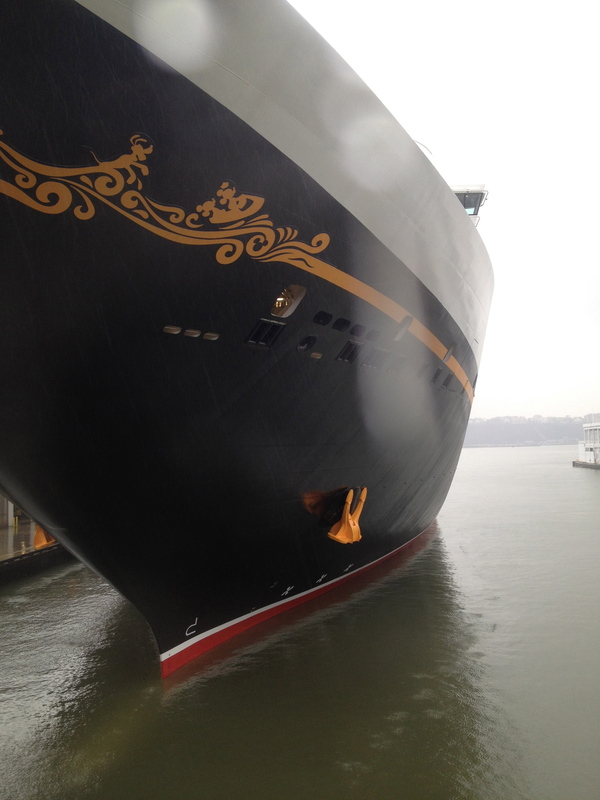 So let’s take a look at what’s available on the Disney Dream. There is a great tool on the Disney Cruise Line website that allows you to compare up to 3 categories at a time. Have two or three in mind that would be acceptable to you when it’s time to choose your stateroom. Then, you can be flexible based on the location of the actual rooms that are available. For instance, if you are trying to avoid motion sickness and want a Deluxe Oceanview with Verandah, but there are none available to the middle and on the lower decks, you may flex to the Deluxe Family Oceanview with Verandah in order to get the location you prefer. Or your Standard Inside Stateroom may be located right above the night club district, but you really want to get some sleep. You may want to find a comparable room a little further away from the action, and be willing to pay a few extra dollars. brainwashed by the Love Boat and too many cruise commercials because neither of us drink white wine, but that’s what my vacation looks like in my head. (I also picture us in a tuxedo and beaded gown sipping champagne on the promenade deck before heading in to dinner at the Captain’s table with Captain Stubing.) Anyway, if we didn’t have a verandah I know I’d feel let down. 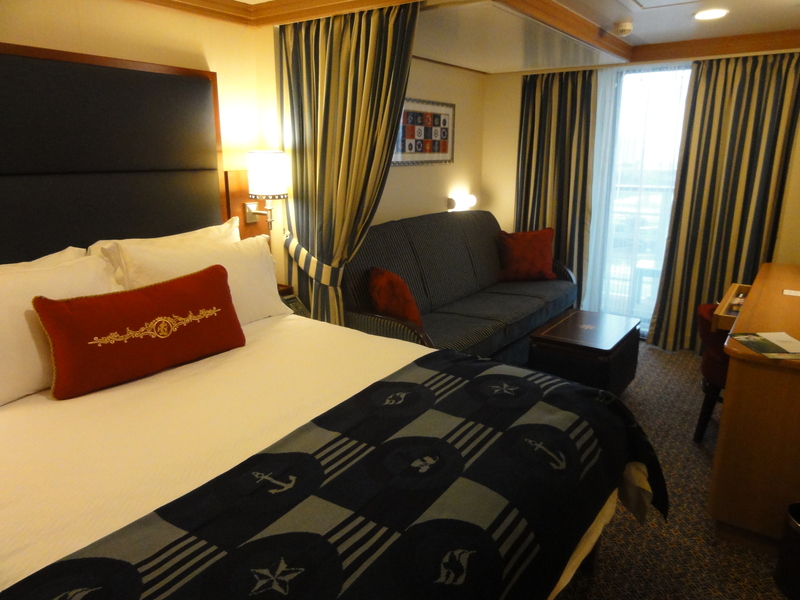 So that’s the process I used to choose our Deluxe Family Oceanview Stateroom with Verandah, on deck 6. There are definitely other considerations, but frankly I didn’t have time to spend weighing a million options, and because we booked so late there weren’t that many options available. If you want to dig a little deeper, I found this very cool article that has some really insightful advice. Was this helpful? Not at all? Let me know in the comments! Next installment – Activities and Excursions. HEY!! it’s Dis Savvy! I LOVE this idea of breaking down a cruise vacation as you go! Keep it up! HUGS!! I’ve been cruising (mostly non-Disney, but some Disney) for 17 years. I can tell you for CERTAIN that a middle/low stateroom is your best bet if you are prone to motion sickness. You won’t regret it! Thanks for the tip and the support! !